10th September 2018: From 1st September to 24th November, Indian gamers will have the opportunity to make a mark on the international esports scene with Red Bull R1v1r Runes. The tournament will be played on a game map that is a modification of the popular Dota 2 game, in a one-versus-one format rather than the regular five-a-side team system. The online qualifiers will take place from 7th September to 9th November and the offline qualifiers will take place from 1st September to 14th October across 14 cities like Mumbai, Pune, Bengaluru, Hyderabad, Jaipur, Dehradun, Nashik, Ahmedabad, Indore, Chennai and more. The winners of the online and offline qualifiers will battle it out in the finale on 24th November an opportunity visit ESL Genting 2019. R1v1r Runes is an arcade game created as a modification to Dota 2, which can be played at the Steam Workshop. The biggest difference between the regular Dota 2 gameplay and that of R1v1r Runes is that while Dota is conventionally a 5v5 format, R1v1r Runes is a 1v1 matchup. In the 1v1 format, the game is only played in the mid-lane, with the other two lanes disabled. In order to win, players must destroy the opponent's tower or kill the enemy hero twice. Another modification is that heroes in R1v1r Runes begin the game at level 6, which means that most heroes will have abilities from the moment the game begins. Level 6 is usually the stage at which heroes are able to unlock their most powerful ability, known as an ultimate. In Dota 2, strategy on the part of the team sees heroes rise to gain their ultimate; with heroes starting R1v1r Runes with their ultimate already in place, a completely different strategy will be needed in the 1v1 game. Apart from their ultimate, gamers will also be granted three items when they start the game. The first item is the Blink Dagger, which allows a hero to be teleported to a certain distance. The second item is a Bottle, which can be consumed three times to get 100 health and 50 mana each time. The third item is an Observer Ward, which provides vision anywhere on the map for five minutes after being placed. Over the weekend, Red Bull OG have won The International 8. 'Topson', 'ana', '7ckngMad', 'JerAx' and team captain 'N0tail' have lifted the Aegis of Champions for the first time, live on stage in Vancouver, Canada, sharing between them a first prize jackpot of more than $11,200,000 – the biggest prize ever awarded in the history of esports. The new mid-player ‘Topson’ and now Ti8 Champion was discovered through his gameplay starts and mid hero gameplay. The 20-year old Finnish Topias ‘Topson’ Taavitsainen, has spent less than a year in the pro Dota 2 scene, but he’s been playing MOBAs since he was just eight years old. Topson’s breakout moment in the Pro Circuit came less 3 months ago. The role of a Mid-Player is very crucial to Dota 2 and the fact that some heroes perform very well at mid, while others can still do a nice lane match-up depending on the player skill involved. The Red Bull R1v1r Runes match-ups addresses the skill issue by subjecting both the players to play identical heroes on mid using rapid game progression and quicker lanes, which forces an individual to make quick decisions and play aggressively while keeping a sane lane. With the rise of the Dota 2 Community in India, we are sure to find our next best mid-player for India through Red Bull River Runes. 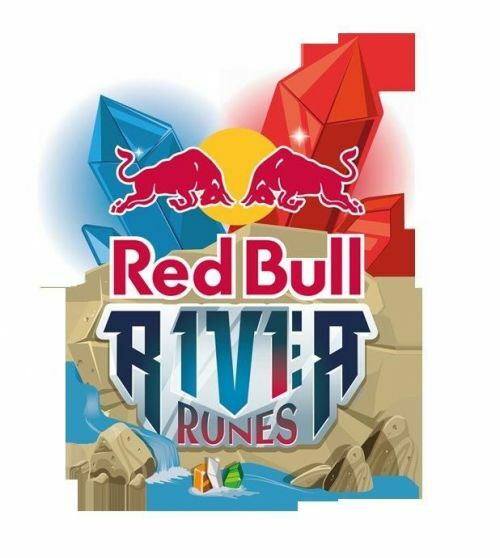 For dates and venues, log on to: http://riverrunes.redbull.com/offline-qualifier.